Hyundai Santa Fe VS Toyota RAV 4 Review! Is the Korean a Better Choice? - Muscle Cars Zone! Hyundai Santa Fe VS Toyota RAV 4 Review! Is the Korean a Better Choice? Compared to its last version, the new Toyota RAV 4 is quite a thing! 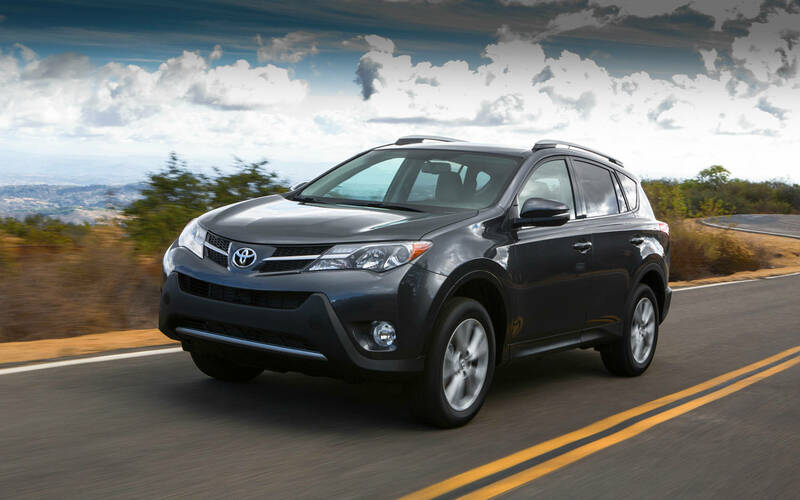 Even though it has the same four-cylinder engine as the previous version, the new RAV 4 has 6 speeds, smooth transmission and saves more fuel. It has place for 5 people, room of 38.4 cubic feet. As far as interior is concerned it is rather luxurious. It has a pretty wide touch screen (stereo controls included) and supporting camera. What about Hyundai Santa Fe? – Well, firstly, you must know that there are two versions: V-6 Santa Fe and Santa Fe Sport. V-6 Santa Fe has 3.3-liter engine, while Santa Fe Sport has a 2.4- liter engine. Now, we will get into details, so that you can get better image for these vehicles. 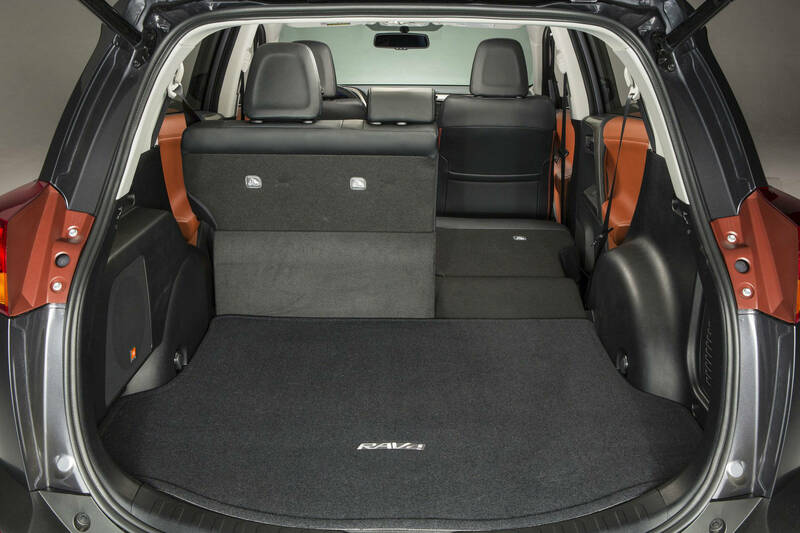 We have already mentioned the 38.4 cubic feet in RAV4. In Santa Fe you get huge 146.4 cubic feet. 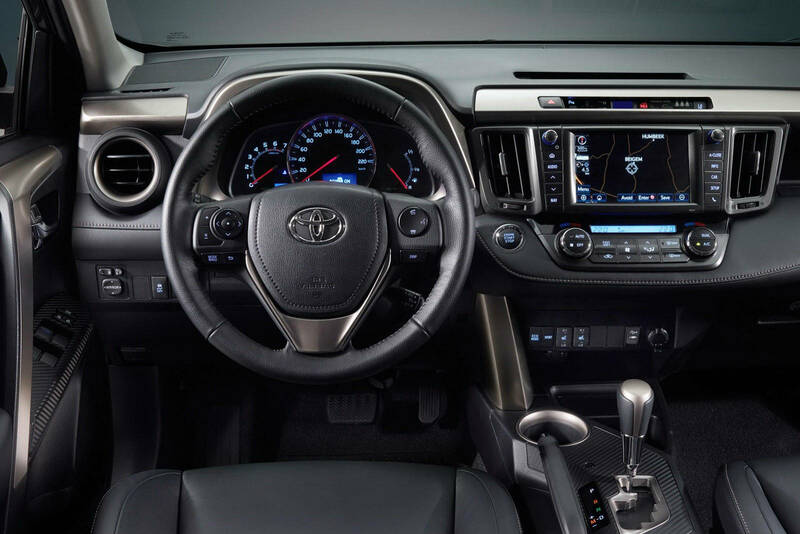 The interior is more or less as standard as the one of RAV4, while you have keyless access, wide screen, moon roof and other luxurious equipment elements are optional. As previously noticed Santa Fe has basic 2.4-liter engine with four cylinders and 290 horsepower and is far better than Toyota RAV4. Always carrying a lot of baggage? Well, it is good to know that Santa Fe is far stronger than RAV 4 and has greater generated power. As far as comfort is concerned Santa Fe and RAV 4 are equal. Sitting space and luggage place are quite similar in both vehicles. Furthermore, if you buy Toyota RAV 4, you get 3 year or 36,000 miles warranty, but if you buy Hyundai Santa Fe you get 60,000 miles or 5 year warranty. 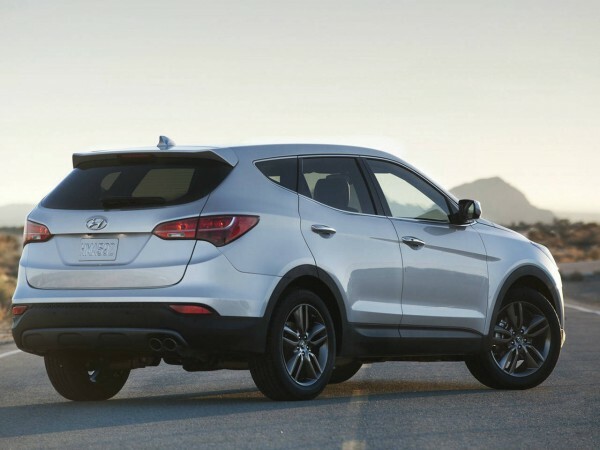 Both versions of Hyundai Santa Fe, V-6 Santa Fe and Santa Fe Sport are quite long, but V-6 Santa Fe is 8.5 inches longer than its sibling. Additionally, Santa Fe Sport is 300 pounds lighter than V-6 Santa Fe. The design of both cars is continuous and easy. Furthermore, both have standard wheels with possibility to have sportier ones for Santa Fe Sport. 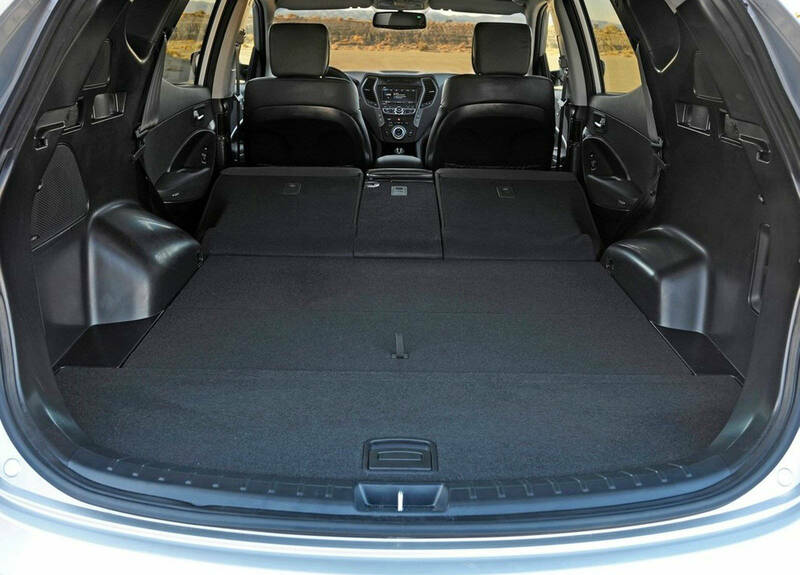 The 2013 Hyundai Santa Fe has a detailed interior and look very expensive with its dash with soft touch padding and the doors. This is what won us over. The 2013 Toyota RAV4 actually has slightly better interior materials on the door panels and but it falls below the Korean SUV because the rest interior surface is made from hard plastics. The 2013 Santa Fe is one of the Safest Vehicles ever tested by Euro NCAP! You will be cozy in RAV 4 as much as in Santa Fe having in mind that Korean SUV has slightly bigger knee space. You will also be offered secure drive in both vehicles equipped with all necessary security gadgets. 2013 Hyundai Santa Fe (European Version) is the safest car in its class according to Euro NCAP during 2012. New generation Santa Fe reached the best scores in all test categories during the testing in its class and become one of the safest vehicles ever tested by Euro NCAP as the independent vehicle assessment organization. Hyundai`s mid-size SUV won in the category “Large Off-Road 4×4” above the Mercedes-Benz M-Class and Range Rover (vehicles from the segment above) and became the first Hyundai that is safer than these two brands.36 vehicles passed through testing and the top 8 performers were recommended by Euro NCAP for the leading levels of safety. Santa Fe Premium Features are welcomed for the First time in its Class! Rear Parking Camera with Parking Assist Control connected with the LCD Display, Lane Assist Control on the highway, Panorama Sun Roof, 7 Seats Option, Active Hood System, 220v jack…are the high level equipment elements of the new SUV star. The 2013 Santa Fe has the smoother ride then RAV4 as well as more quiet. Its interior noise is at 67-68 dB on 90 mph. Toyota RAV 4 has 69-70 dB interior noise. If you are a good driver and know how to park big cars than you are suitable for Santa Fe since it is rather bigger than RAV 4. The steering process is also smoother with Santa Fe due to its greatly designed transmission, but it may be harder to drive it on curvy roads since it is bigger than RAV4. The running costs? If you are guided by the Destination Charges criteria, then you will face more or less the same costs for both vehicles. 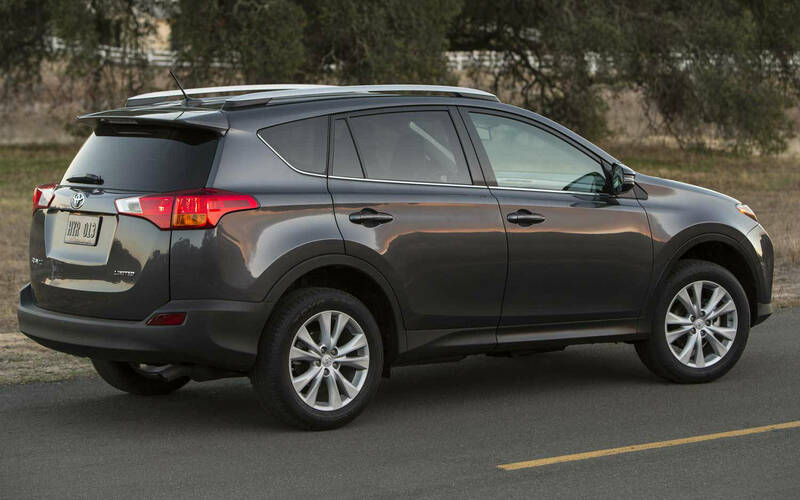 The 2013 Santa Fe is more practical, comfortable, spacious and stylish. Those facts matters more to SUV crossover buyers. 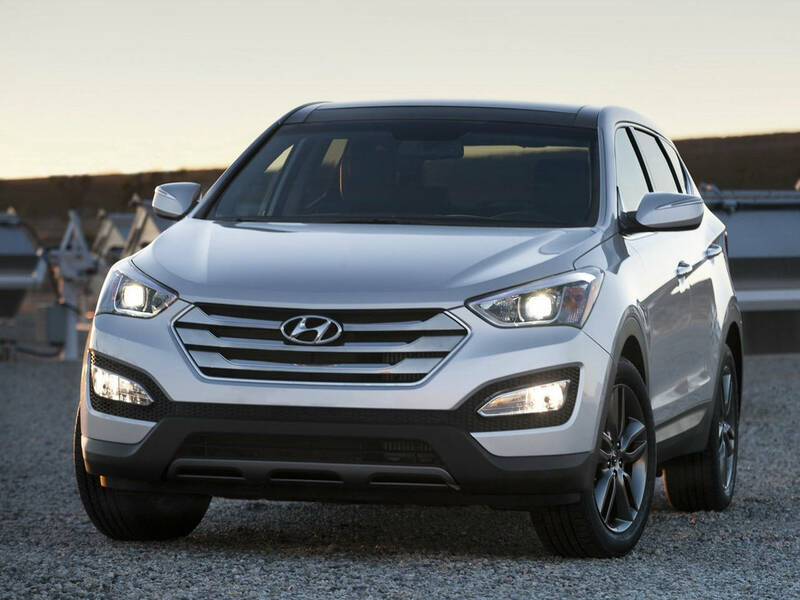 According to us the Santa fe is the clear winner in this review!